Mix together all ingredients except for raspberries in a mason jar. Put in fridge and let set 12 hours, or overnight. 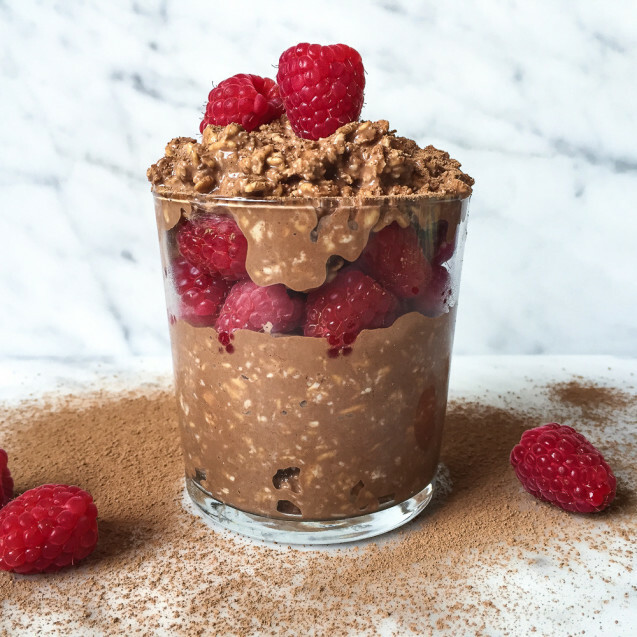 In the morning, layer in raspberries parfait style and enjoy!